While flipping through my September issue of Lucky Magazine over the weekend, I spotted the adorable Kate Spade ad campaign featuring Bryce Dallas Howard. 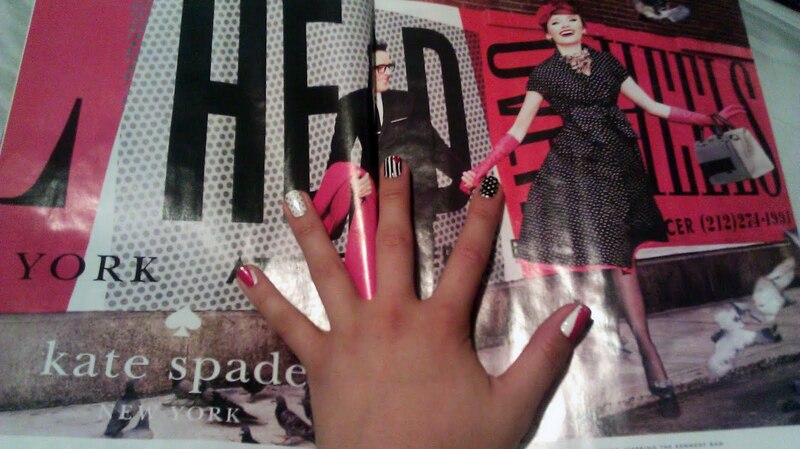 As I looked at it, I suddenly thought, these colors and patterns would look so cool as a manicure! So I decided to go for it! The tools I used were my double-ended brush and dotting tool and scotch tape. I’m pretty stoked with how well they turned out! What do you think?